BCAA has been serving Baruch graduates since 1968 when it was founded with the separation of the Bernard M. Baruch School of Business from its parent CCNY, elevated to the status of College. 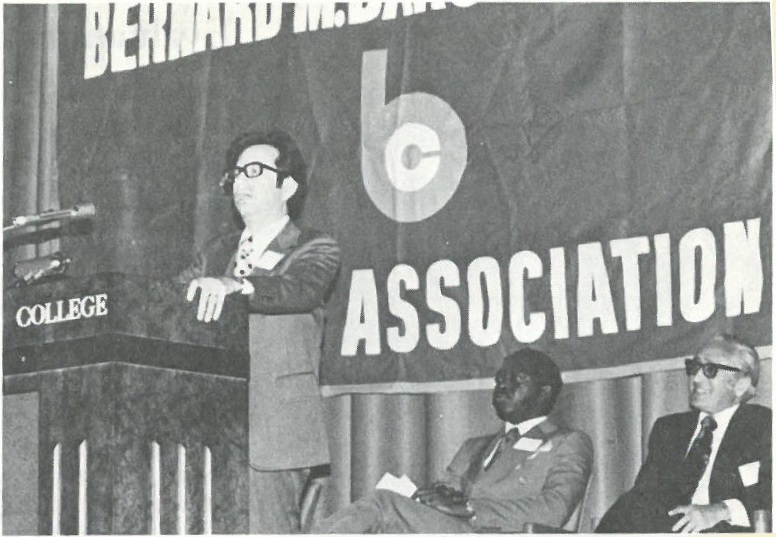 Chartered in 1969, BCAA was modeled after the Alumni Association of CCNY, and since then has been passionately improving the Baruch community and building mutually beneficial partnerships between Baruch College and its over 100,000 alumni. The work of the Association would not be possible without the generous support of the Baruch community. Through the years the dedicated members of the Baruch College Alumni Association have been partners in advancing the goals of the students, faculty and alumni at Baruch College. Members also enjoy access to a variety of volunteer opportunities, career development resources and social events. A distinguished history of funding initiatives continued in 2007 with a $100,000 pledge to Baruch's Class Act campaign, which is designed to help provide access and opportunity to Baruch College students. Gifts go directly to support scholarships, student career services, student activities and programs, The William and Anita Newman Library and faculty research. Furthermore, the distinguished Starr Foundation will match this gift with an additional $100,000 donation. The Baruch College Alumni Association has always believed that one of the many advantages of a good education is the ability to give back so that future generations will have even greater opportunities. We encourage all Baruch graduates to stay in touch with the Alumni Association, actively participate in its activities and, if possible, volunteer their time for building the future of Baruch community. It will provide an unbelievable personal satisfaction!